Quote Reply Topic: Trump This! 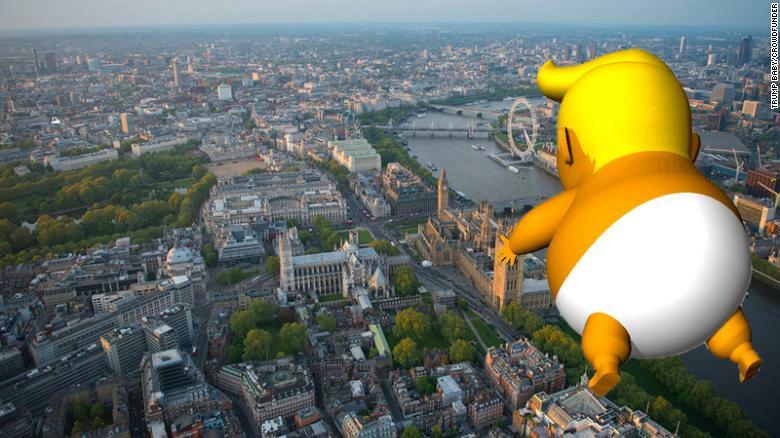 London (CNN) A giant 'Trump Baby' balloon is set to be flown close to the UK Parliament during US President Donald Trump's visit to London next week after the Mayor of London gave the go-ahead, it was announced Thursday. 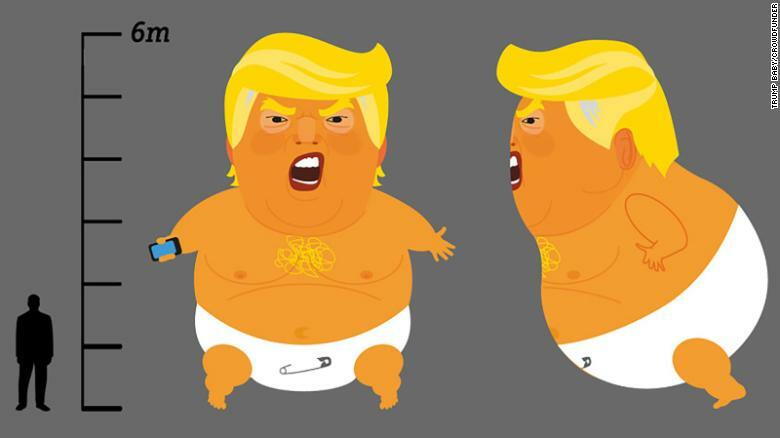 Protests are expected across London when Trump arrives for his three-day visit to the UK next Friday, with the 6-meter-high (or 19 feet) orange balloon poised to take center stage. Over 10,000 people have signed a petition in support of the balloon. The request for the balloon to fly was approved by Mayor Sadiq Khan after over 10,000 people signed a petition and a thousand people contributed £16,000 to a crowdfunding campaign. 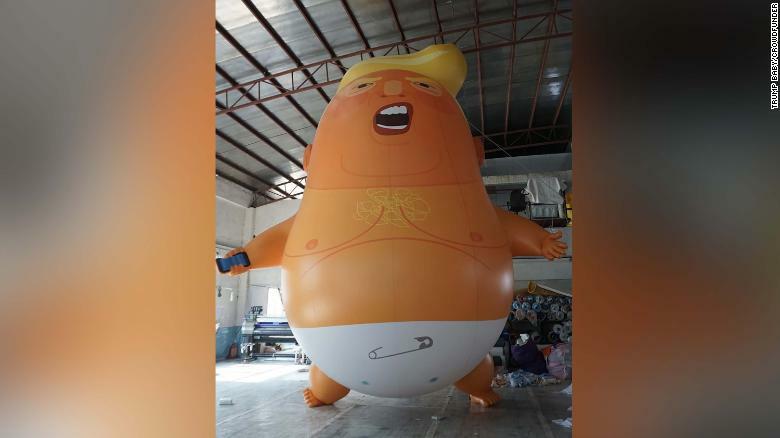 The balloon will fly for two hours on the morning of Friday, July 13, at the same time as the "Stop Trump" march in central London. The balloon is 6 meters high, according to its creators. A spokesperson for the Mayor said: "The Mayor supports the right to peaceful protest and understands that this can take many different forms. His city operations team have met with the organizers and have given them permission to use Parliament Square Garden as a grounding point for the blimp,"
His representative added,"However, the organizers will also need to receive the necessary approvals from the Metropolitan Police and National Air Traffic Service in order for it to fly." "Sadiq's main priority is the safety of all Londoners and visitors to our city, and as always we are working in very close coordination with the Metropolitan Police and other key agencies to ensure all protests are carried out safely and securely," the spokesperson said. Organizers are still awaiting final approval from the Metropolitan Police and National Air Traffic Service. The giant balloon will be tethered to the ground in Parliament Square Gardens and won't be able to float higher than 30 meters (or 98 feet). The presence of the balloon may exacerbate tensions between Khan and Trump, who have been embroiled in several Twitter spats. Khan has been outspoken in his opposition to Trump's visit. He criticized the US President over his tweets following the terror attacks in London last year. And that, specifically, was from us Brits who value manners above everything! Our brexit plans are in considerable dissaray. When we were given a referendum to vote upon, every voter seems to have had a different idea of what brexit would/should/could entail. Consequently our Prime Minister is left with the impossible task of uniting a thousand factions, all with nothing whatsoever in common. So she cobbled a fudge together which walked a fairly central line - and pleased no one. Apparently that includes Trump. At a private dinner in Blenheim Palace he apparently offered us an ultimatum which can be summed up as: "Trade with America or Trade within Europe." How dare he! This is our country not his! I always thought we were supposed to be allies, with a "special relationship" , not indentured servants following orders. I do not know what course our Prime minister will chose. Personally I have avoided buying anything American for months, I still have some principles. We also know that Trump renages on deals as often as Kim Jung Un does and hypocritically accuses others (like Germany) of collusion with Russia; whilst receiving their aid himself. I am somewhat in favour of leaving Europe, but at least their negotiations with us are fair and honest. Who in their right mind makes deals with a liar, parasite and buly? 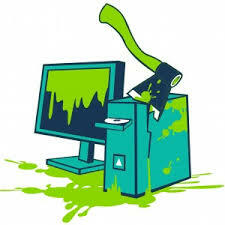 I do hope not us. And the Fools voters for him talk about dumb and dumber. As a codicil to my previous tirade, may I point out that I am a brexiteer. I voted leave. It seems Trump is a brexiteer as well. For me, it was a matter of democracy. I don't know Trump's reason; I do know it is none of his business! I only speak on another countrys policies when I see injustice, human rights abuses or planet damaging policies, moral duty forcing me to become so rude and intrusive. It appears Trump will threaten, bribe and force the issues when his wallet is pressed on. It makes me doubt myself as a brexiteer. Agreeing with that lying, manipulative, slimeball on anything, even when argued from totally different axioms, is too much to bear.